Welcome to butters john bee Congleton. We have recently moved to a prestigious new office situated in Congleton's busy pedestrianised High Street. Established in 1856, we are now one of the UK's most successful independent estate agents and chartered surveyors and have 17 offices throughout Staffordshire, Shropshire, Cheshire and the West Midlands. LetAgreed are a liverpool based lettings and property management company. Our goal is to deliver the service you expect at a much lower cost than you're used to. Landlords who have switched to us have already made big savings and so can you. Put us to the test... come and try LetAgreed - you'd be mad to pay more. Welcome to Reeds Rains Congleton. If you are looking for a recognised, professional and proactive estate agent with extensive local knowledge, then look no further. All of our clients are extremely important to us and we pride ourselves in providing an excellent, unrivaled service, tailor made to the individual requirements of all our customers, many of whom have benefited from our services repeatedly over the years. Welcome to Reeds Rains lettings and property management! With nearly 150 years of experience of the lettings industry and by listening carefully to our customers, we have created the perfect blend of local high street presence backed by the infrastructure and expertise of a large national organisation. The rental market continues to be incredibly buoyant which means that letting your property will not be a problem for Reeds Rains. Our property business was started in 1981 by Timothy Brown himself. Joined over the years by his team of professionals who live and work in the area means we collectively offer a huge amount of property knowledge and experience. We like what we do, so have earned a reputation for quality and a friendly service. We're one of the few truly independent agencies, and that's one of the reasons why the Relocation Agent Network chose us to be amongst their national network of over 600 selected agents. Buying a home may be one of the most expensive purchases you will ever make. 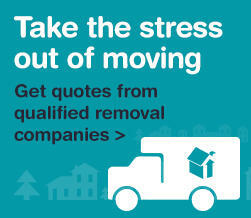 So choose the right Estate Agency to make your life a little easier. At Whittaker & Biggs, you are assured of exceptionally high standards of customer care at all times. We will ensure that you are assisted every step of the way, by giving you regular updates on how your sale or purchase is progressing.